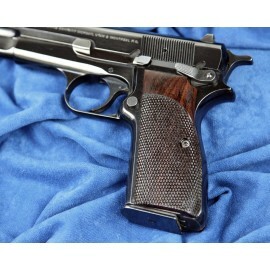 Hi Power Grips There are 14 products in this category. 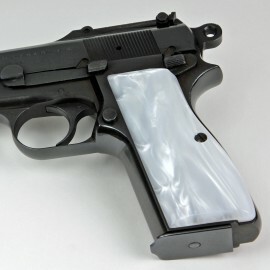 Fits : Browning Hi Power Browning Hi Power Made from our revolutionary high-tech Kirinite™, these grips are as tough as they are beautiful. 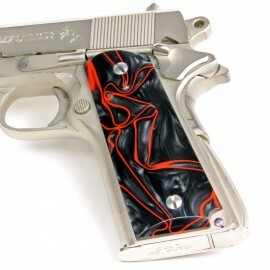 Browning Hi Power Made from our revolutionary high-tech Kirinite™, these grips are as tough as they are beautiful. Fits : Browning Hi Power Browning Hi Power Made from our revolutionary Kirinite™ WHITE PEARL, these grips are as tough as they are beautiful! 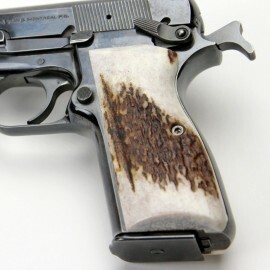 Browning Hi Power Made from our revolutionary Kirinite™ WHITE PEARL, these grips are as tough as they are beautiful! Fits : Browning Hi Power Browning Hi Power Kirinite® Antique Pearl Grips Made from our revolutionary Kirinite® Blue Pearl, these grips are as tough as they are beautiful! Browning Hi Power Kirinite® Antique Pearl Grips Made from our revolutionary Kirinite® Blue Pearl, these grips are as tough as they are beautiful! 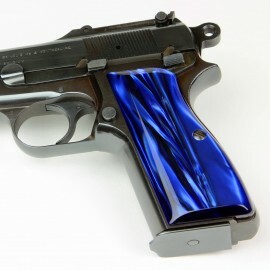 Fits : Browning Hi Power Browning Hi Power Kirinite® Blue Pearl Grips Made from our revolutionary Kirinite® Blue Pearl, these grips are as tough as they are beautiful! Browning Hi Power Kirinite® Blue Pearl Grips Made from our revolutionary Kirinite® Blue Pearl, these grips are as tough as they are beautiful! Fits : Browning Hi Power Browning Hi Power Kirinite® Emerald Bay Grips Made from our revolutionary Kirinite® Blue Pearl, these grips are as tough as they are beautiful! 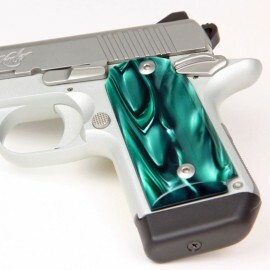 Browning Hi Power Kirinite® Emerald Bay Grips Made from our revolutionary Kirinite® Blue Pearl, these grips are as tough as they are beautiful! Fits : Browning Hi Power Browning Hi Power Kirinite® Goddess Grips **PICTURES NOT SPECIFIC** Made from our revolutionary Kirinite® Blue Pearl, these grips are as tough as they are beautiful! 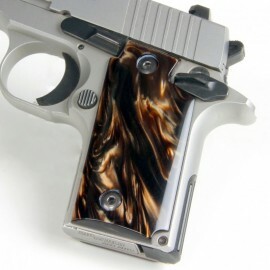 Browning Hi Power Kirinite® Goddess Grips **PICTURES NOT SPECIFIC** Made from our revolutionary Kirinite® Blue Pearl, these grips are as tough as they are beautiful! 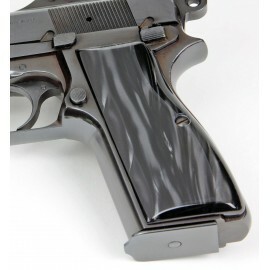 Fits : Browning Hi Power Browning Hi Power Kirinite® Lava Grips Made from our revolutionary Kirinite® Blue Pearl, these grips are as tough as they are beautiful! Browning Hi Power Kirinite® Lava Grips Made from our revolutionary Kirinite® Blue Pearl, these grips are as tough as they are beautiful! 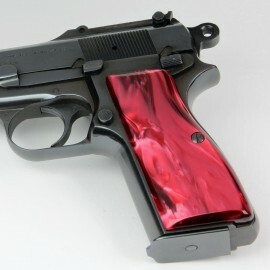 Fits : Browning Hi Power Browning Hi Power Kirinite® Red Pearl Grips Made from our revolutionary Kirinite® Blue Pearl, these grips are as tough as they are beautiful! Browning Hi Power Kirinite® Red Pearl Grips Made from our revolutionary Kirinite® Blue Pearl, these grips are as tough as they are beautiful! 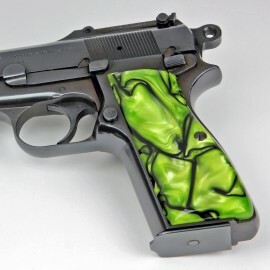 Fits : Browning Hi Power Browning Hi Power Kirinite® Toxic Green Grips Made from our revolutionary Kirinite® Blue Pearl, these grips are as tough as they are beautiful! 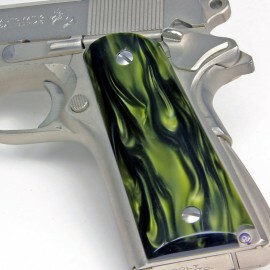 Browning Hi Power Kirinite® Toxic Green Grips Made from our revolutionary Kirinite® Blue Pearl, these grips are as tough as they are beautiful! 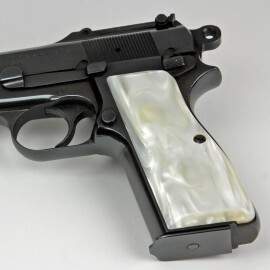 Fits : Hi Power Browning Hi Power Kirinite® Venom Pearl Grips Made from our revolutionary Kirinite® Blue Pearl, these grips are as tough as they are beautiful! Browning Hi Power Kirinite® Venom Pearl Grips Made from our revolutionary Kirinite® Blue Pearl, these grips are as tough as they are beautiful! 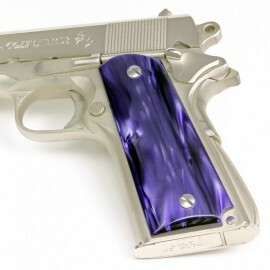 Fits : Hi Power Browning Hi Power Kirinite® Wicked Purple Grips Made from our revolutionary Kirinite® Blue Pearl, these grips are as tough as they are beautiful! Browning Hi Power Kirinite® Wicked Purple Grips Made from our revolutionary Kirinite® Blue Pearl, these grips are as tough as they are beautiful!